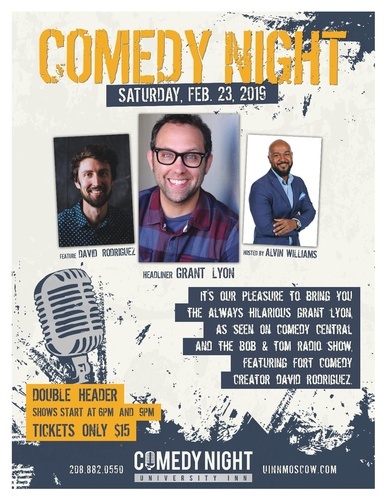 It's our pleasure to bring you the always hilarious Grant Lyon, as seen on Comedy Central, and the Bob & Tom Radio Show featuring Fort Comedy creator David Rodriguez. Double Header! Shows start at 6pm and 9pm. Tickets only $15.